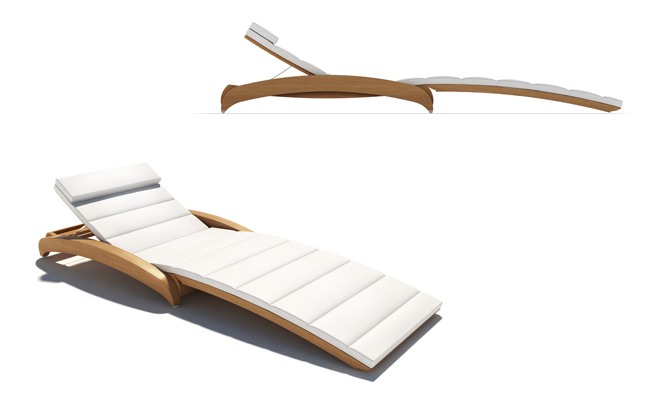 The design for a folding sun lounger came about some years ago when Stephen was designing the aft end of a 38m motor yacht. The client wanted a flexible solution for entertainment. Due to the limited space on this size yacht, the idea came about for a stylish stacking lounger which could halve its deck space. At present a notable manufacturer along with ‘Stephen Huish Yacht Design’ is developing the idea in teak and are now prototyping. Stephen is also in the process of converting the design into a carbon fibre version with a collection of other folding pieces in the pipeline.